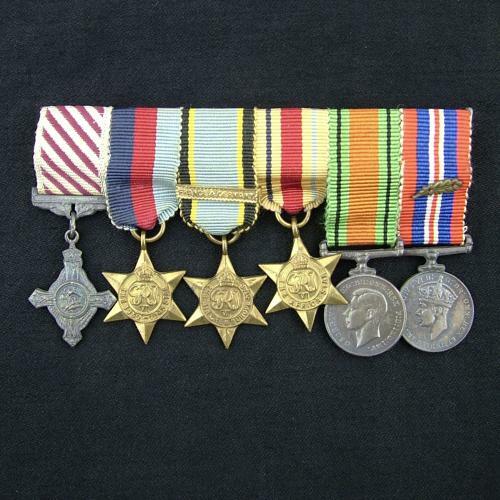 Original miniature medal grouping of six comprising the Airforce Cross, 1939-45 star, Aircrew Europe star with France & Germany bar, Africa star, Defence & War medal with M.I.D. oakleaf. They are all complete with ribbons and properly mounted on a pin-backed bar ready for wear. Excellent condition. Stock code M19233.